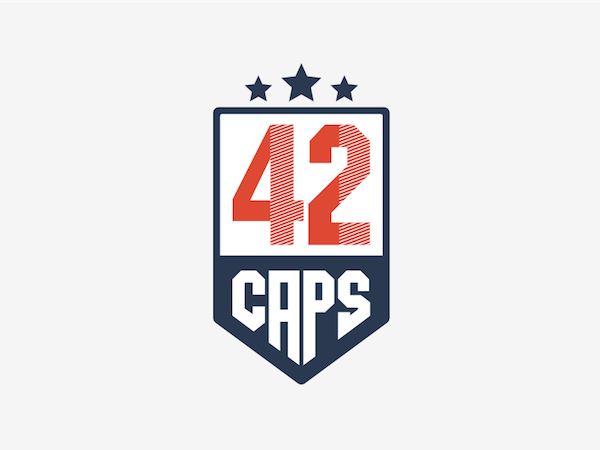 The "42caps" name was inspired by the true story movie "42" in which Branch Rickey (Harrison Ford), legendary manager of the Brooklyn Dodgers, defies major league baseball's notorious colour barrier by signing Jackie Robinson (Chadwick Boseman) to the team. 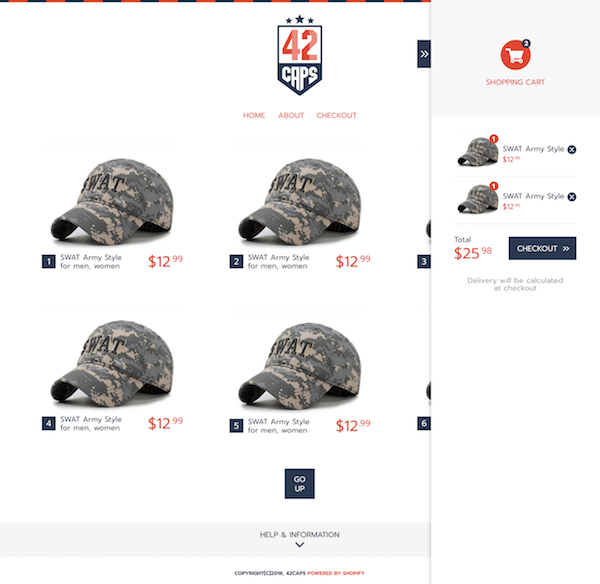 With 42 being the key number, the idea behind the website was to have only 42 baseball cap styles available and all displayed on a single page. 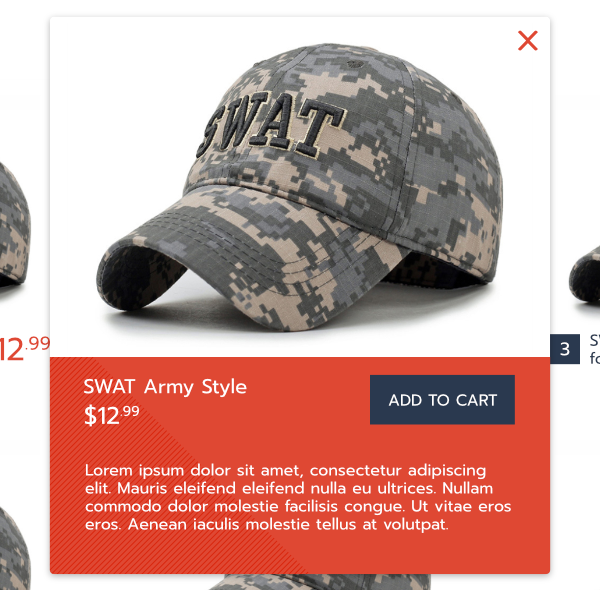 To keep the site simple, I incorporated modals into the design to give more detailed product information to the customer. 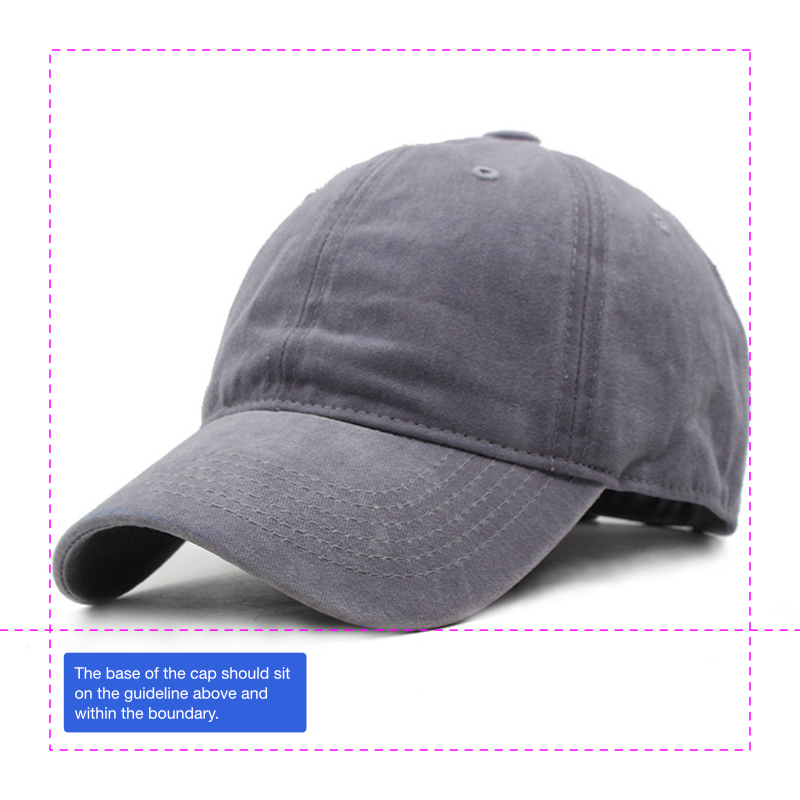 To ensure all the caps sat at the same level, I created a product image template containing image boundaries and guides.